A male passenger was in need of urgent medical care on Saturday May 9th and as a result was airlifted by the U.S. Coast Guard. 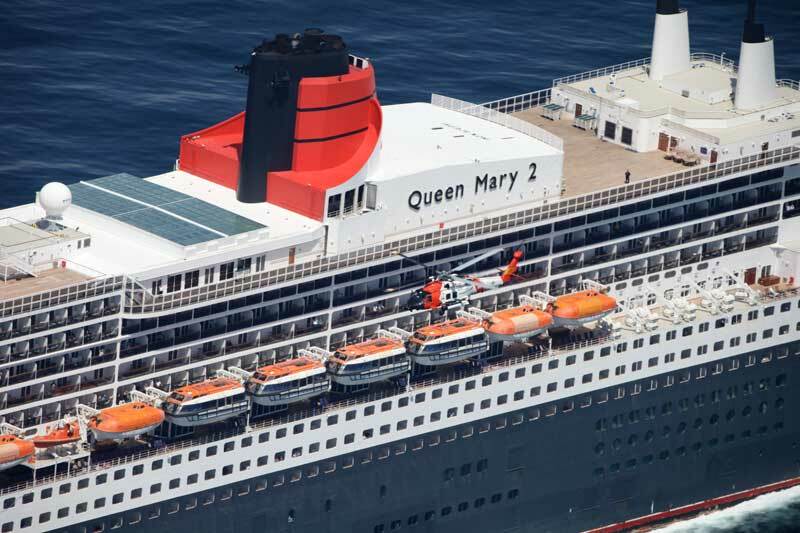 According to reports the 39-year-old male passenger was suffering from serious renal and heart failure, the man needed to be medevaced from the Queen Mary 2 cruise ship. At around noon the ship got in contact with the U.S. Coast Guard as the large vessel was 180 miles south from Nantucket Island, MA. The Jayhawk crew launched from Air Station Cape Cod with plans to meet the cruise ship near Nantucket, Massachusetts. Making its best speed, the cruise ship steamed towards Nantucket to lessen the distance for the helicopter crew. At around 3 pm the passenger was airlifted and taken to Tuft’s Medical Center in Sommerville, Massachusetts. Queen Mary 2 is one of the largest ocean liners in the world at 148,528 gross tons and carrying over 2,600 passengers.